Absolutely love your pink skirt - really want it in my closet! gorgeous outfit, the skirt is beautiful! I am in love with your skirt, it's gorgeous! I loooooove this outfit! Charming and feminine. Such a pretty skirt. So elegant! I love these skirts on you misses! Love that shape skirt on you!! I adore this outfit so much! Off to hunt in my local h&m! Girl, this outfit is just perfect! Loving midi skirts at the moment. 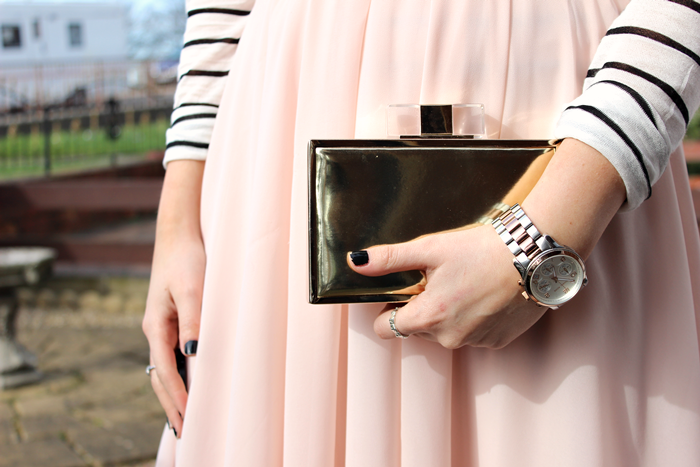 I just did an OOTD post on my blog with a lilac midi I got off ASOS.